Since October 2013, over 50,000 children from Central America have crossed the U.S.-Mexican border. Most are seeking safe harbor from the rampant drug violence taking over their hometowns in the so-called Northern Triangle, the region comprised of Honduras, Guatemala and El Salvador. 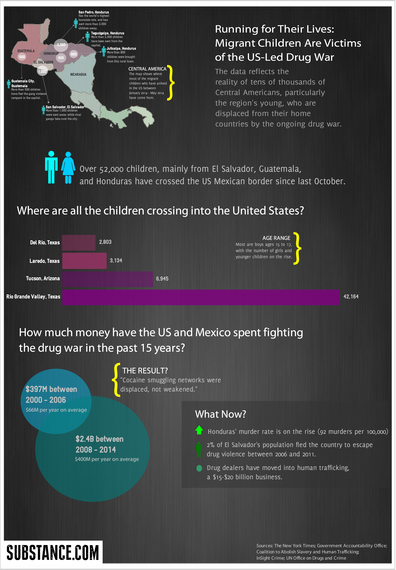 The central cause of this escalating humanitarian crisis is the U.S.-led drug war. But public awareness of this link is disturbingly low. The media typically reports the partisan politics of the issue taking place in Washington, where the goal is not to improve the treatment of the migrant children, let alone improve the conditions that cause them to flee, but to exploit the crisis for political gain with an eye to the midterm elections. 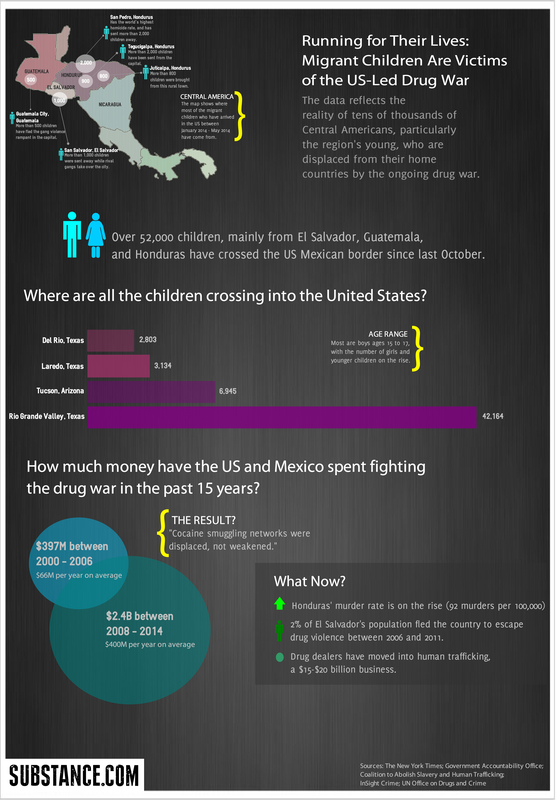 What's missing from this debate is the central role the U.S. 'drug war' plays in causing this exploding human tragedy. The fact is that U.S. policies in Central America, the region of the world where Washington has operated largely unimpeded for well over a century, have promoted the deterioration of Northern Triangle societies, from which so many are now desperate to escape.